The Bulgarian Bears defeated the Royal Crowns 27:20. It was a very difficult and tense game and it made the league that much more interesting, still, the league's champ will be decided in Kraljevo town, Serbia. The Bears proved to be best when it mattered most, gaining their first victory. The nice weather, good team management, over 500 fans and a friendly atmosphere only contributed to the amazing game that took place on the field of the 'Akademika' sports' center. 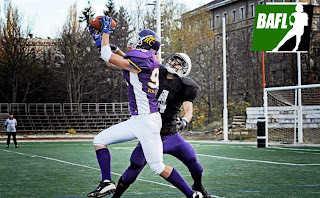 The game was rough from the very start, a gritty trench fight took place on the field, Sofia leaned on Alexander Kenanov in the run game while the Serbian team relied on Stefan Djuric, the wide receiver who had two touchdowns thrown by Lazar Pejkovic, the young quarterback. Another touchdown was scored by Nemanja Gajovic, the guests' running back whose game consisted of powering through the defensive line. Kraljevo had the lead during the entire game but the hosts proved to be clutch, denying Kraljevo's effort to build up the lead. Quarterback Christian Chan played a very good game and had a last minute TD pass to receiver Todor Stamenov to take the lead. 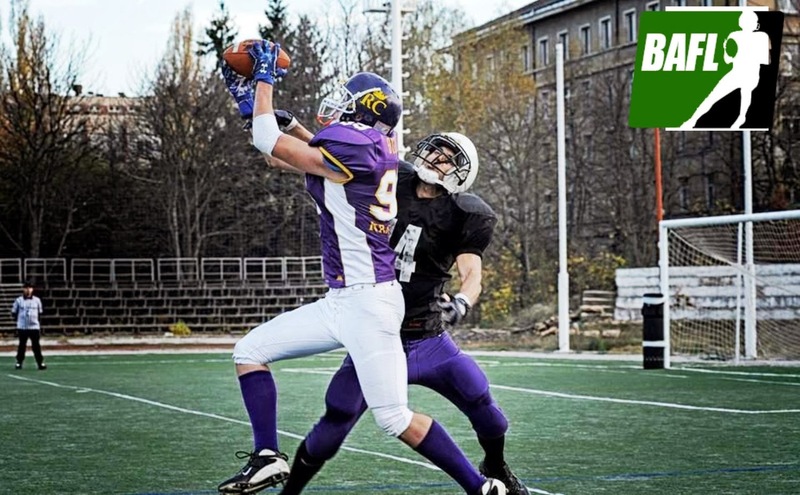 Soon after the Crowns managed to block the extra point but the ball fell right into the hands of kicker Todor Stamenov who managed to score and carry Sofia on to victory. The BAFL standings currently show Bears at first place, the Rebels are second, and Kraljevo at last place. However, the final score of the first BAFL game was 6:0 in favor of the Rebels, a loop has been created which means the winner will be decided in Kraljevo, for the last game. If Bucharest wins, they will be named the champs but if the Crowns pull out an 8 point upset, Serbia's team will be #1, and finally if the Crowns win by less than 8 the Bears are taking it all. As of now, everything is still up for grabs and it all depends on the last game. On November 10th, Kraljevo will be hosting the Rebels for the deciding game, and the title of BAFL champion is still to be claimed.